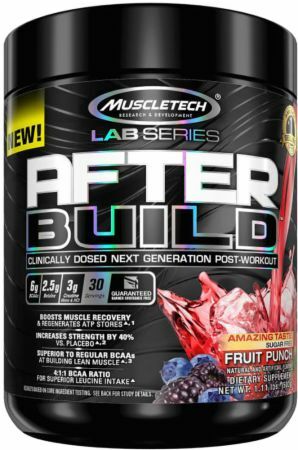 MuscleTech Lab Series After Build at Bodybuilding.com - Best Prices on Lab Series After Build! MuscleTech researchers have taken an unparalleled leap in their commitment to supplement science by partnering with the world-renowned University of Toronto – an institutional leader with a long history of innovation and research – to create the MuscleTech Metabolism and Sports Science Lab. As part of the $58-million, state-of-the-art Goldring Centre for High Performance Sport at the University of Toronto, the new lab reaffirms our devotion to developing ingredients with extreme efficacy validated by unbiased scientific research. The prestigious University of Toronto was recently ranked in the Top 20 for overall performance as stated in the Times Higher Education World University Rankings 2013–2014 report. The MuscleTech Metabolism and Sports Science Lab features novel technologies and equipment to carry out gold-standard research on new, emerging ingredients. As the first partnership of its kind, it is at the forefront of muscle physiology, sports performance and nutritional biochemistry. MuscleTech researchers’ passion and vision to continuously research, develop and patent the most effective sports supplements in the world has led to the MuscleTech Lab Series – a complete line of advanced products that promises extreme efficacy, with key ingredients validated by scientific research. MuscleTech Lab Series is the brand you can trust for superior science and superior results. Researchers have put betaine to the test and the results are incredible – making it a must-have supplement for anyone serious about building muscle. In one gold-standard clinical study, test subjects who supplemented with the exact 2.5g dose of betaine found in 1 scoop of After Build™ built 3.75 lbs. of lean muscle in 6 weeks compared to 0.66 lbs. by the placebo group. What’s more, test subjects actually increased arm size, as measured by a cross-sectional area (49.5 to 54.1 cm2)! Creatine has been extensively researched for its benefits in increasing muscle strength, power and enhancing recovery during training. * Research published in the Journal of Applied Physiology found that a dosage of 3g of creatine daily for about a month is required to saturate muscles, resulting in increased muscle strength, increased performance and enhanced muscle size. * Many recovery products include less than this ideal amount! With After Build, you get a full dose of creatine in the form of ultra-pure, HPLC-tested creatine monohydrate and creatine HCI. To ensure a high standard of quality and purity, and each batch of After Build undergoes strict quality control and is third-party tested and verified to ensure that each bottle meets the highest standards of purity, quality and consistency. I'm a senior citizen that still dead-lift, squat and bench press 3 times a week full body workout and every time I take After Build I'm not even sore, I'm completely recovered for my next workout. Processed in a facility that also processes milk, soy, wheat, egg, peanut, tree nut, fish and shellfish ingredients. 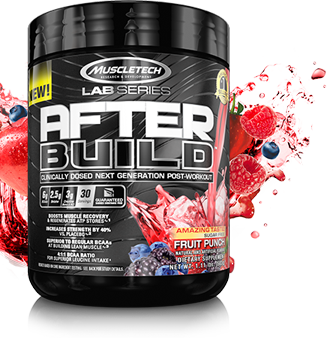 Directions For After Build: Mix 1 serving (1 scoop) with12 oz. of cold water and consume intra- or post workout. 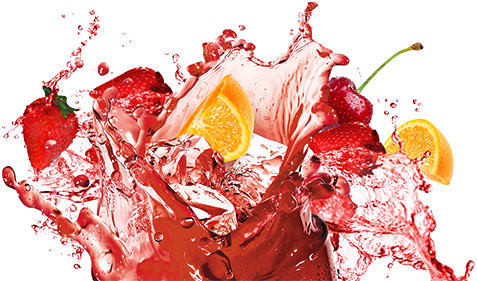 Do not exceed 1 serving in a 24-hour period. Drink 8 glasses of water daily for general good health. Read the entire label before use and follow directions provided.